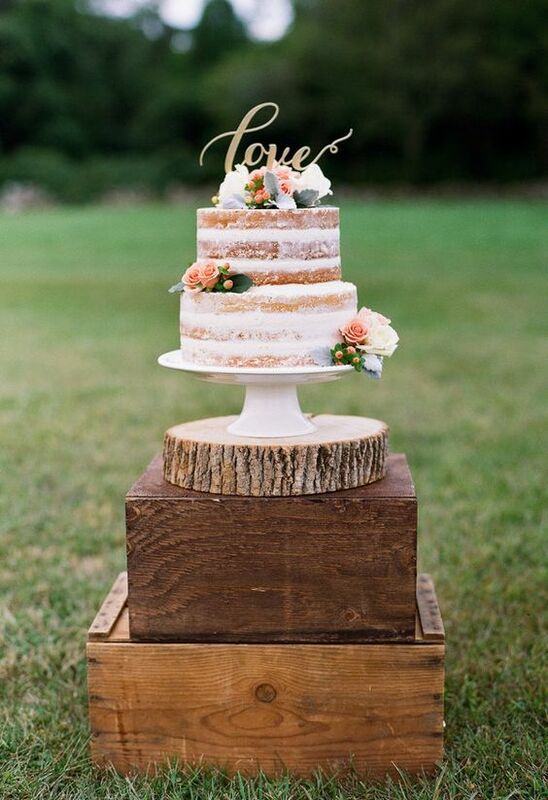 A naked wedding cake is a great fit for a rustic wedding. Wouldn't this look great at a winery or in a barn or outside during the day in the country? 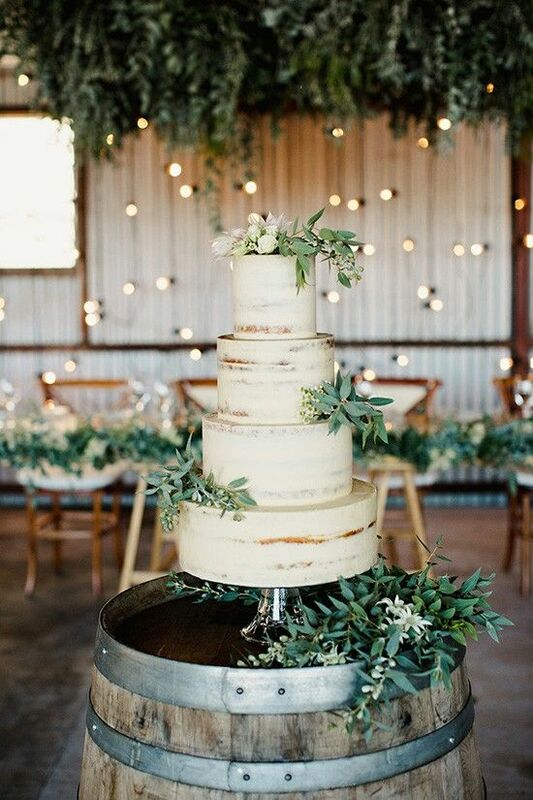 My younger cooler trendier friend, Brooke, had this gorgeous naked wedding cake at her fall Sonoma wedding. Thanks to Connie Whitlock for the photo. top photo: Mallory Renee Photography, Sprinkle & Dash for the cake, and Poppy & Ivy Floral.